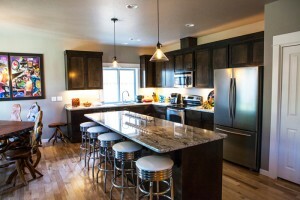 Pacific Trend offers a wide variety of home plans and lots in our beautiful communities to choose from. We take great pride in working with you to build a one- of-a-kind custom home from the ground up. Over the past 35 years, we have built hundreds of custom homes with one goal in mind; to ensure your home is built to your satisfaction and that the process is enjoyable from planning to closing. If you already have a home plan and/or land you want to build on, Pacific Trend is the perfect choice to build your custom home. Our experienced team will work along side you and your designer to ensure your home becomes a beautiful reality that exceeds all expectations. Contact us today about building your new home.